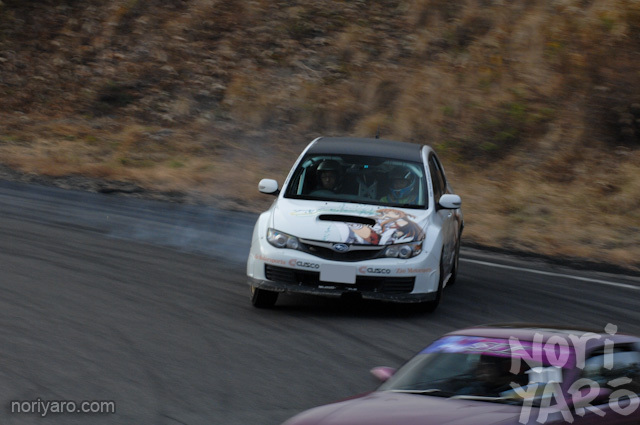 It was being driven by a guy named Hatano. 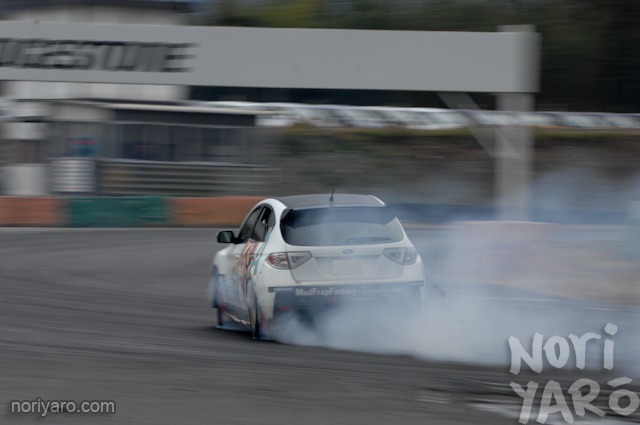 Since his rally season was over, he decided to use up his leftover rally tyres and burn them up at an open track day at Honjo Circuit. 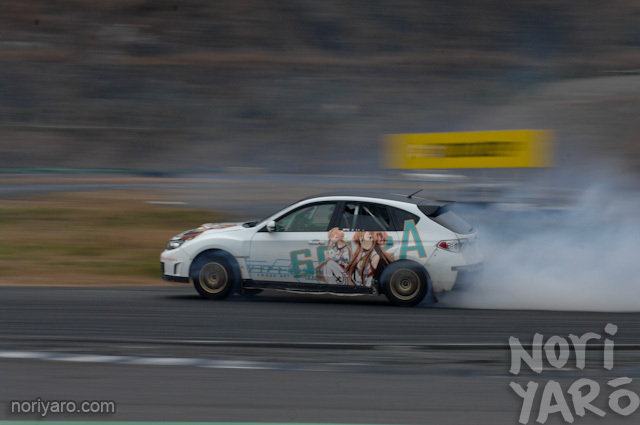 He was able to get it to counter going into the corners fairly well with that typical “it looks like there’s rocket thrusters attached to the back” motion that AWD rally cars have on tarmac. It was a lot of fun to watch him, as he was playing around with entries and angles in order to go as fast as possible through the corners while sliding. 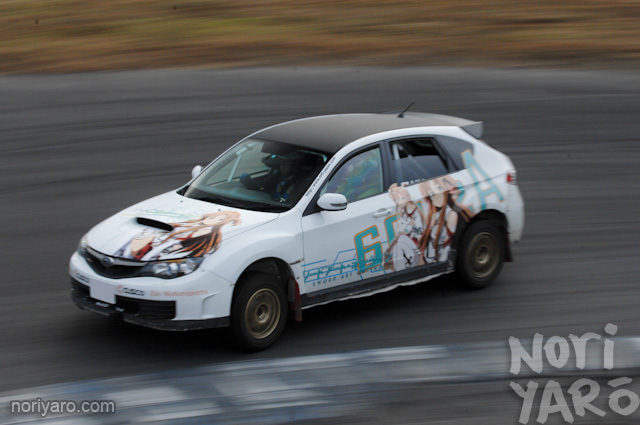 So why sticker it up with characters from the novel/manga/anime, “Sword Art Online”? 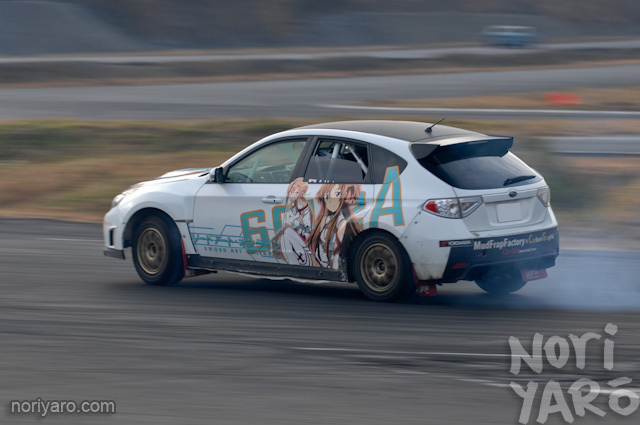 Hatano said that he is a privateer, so rather than leave the car blank with no sponsor stickers, he decided some itasha graphics were a good idea. Works for me, as long as he does stuff like this with it. I didn’t even want to get this close to take this photo. 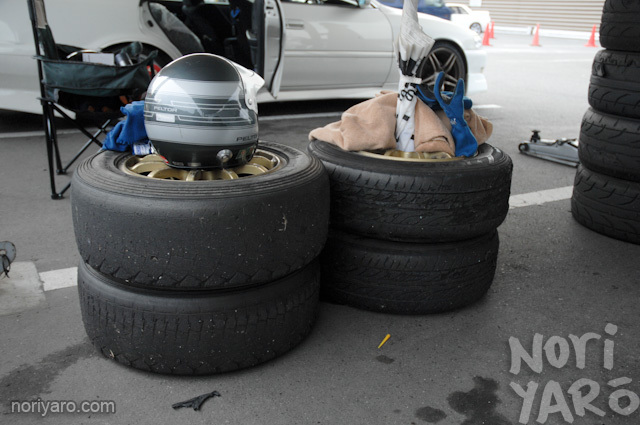 That’s a proper Advan A035 rally tyre there about to burst. Heres some of the previous victims. 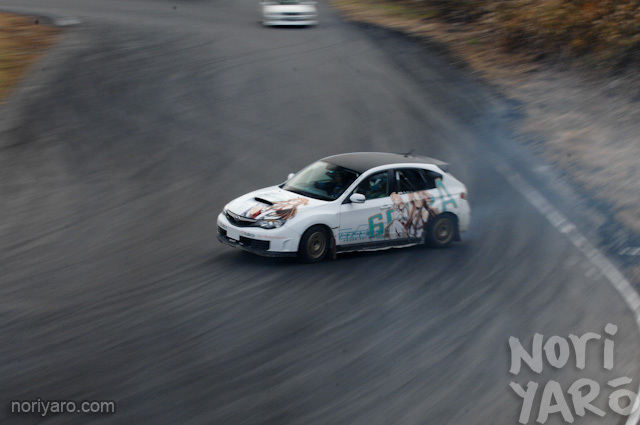 Great to see a rally car out of its natural habitat and having a bit of fun! Any video of him in action? Yes! 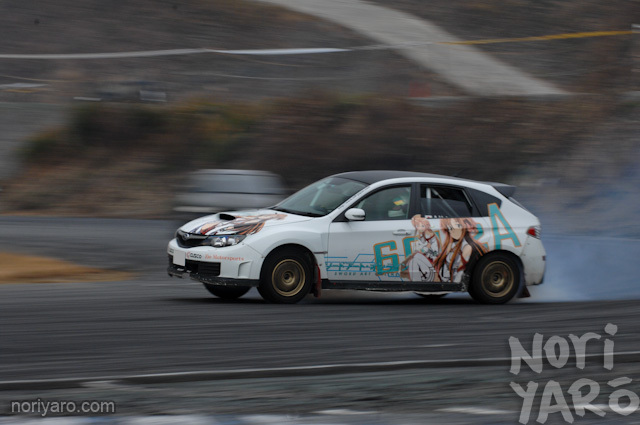 Sword Art Online Itasha! I’m doing same character too. Everything is in the Plans. 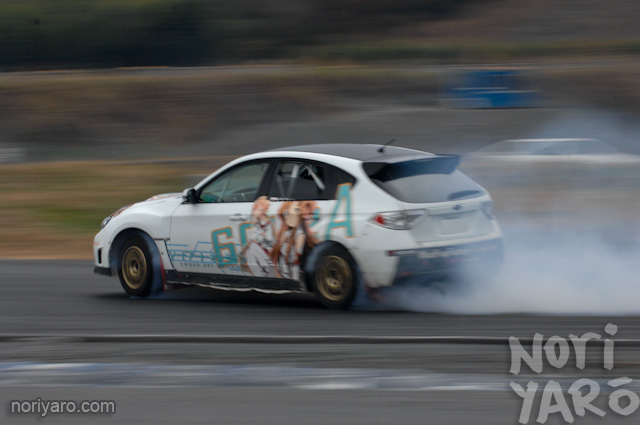 Mud frap factory decals lol. making me consider a 4wd car. still does not make me consider watching swarton. 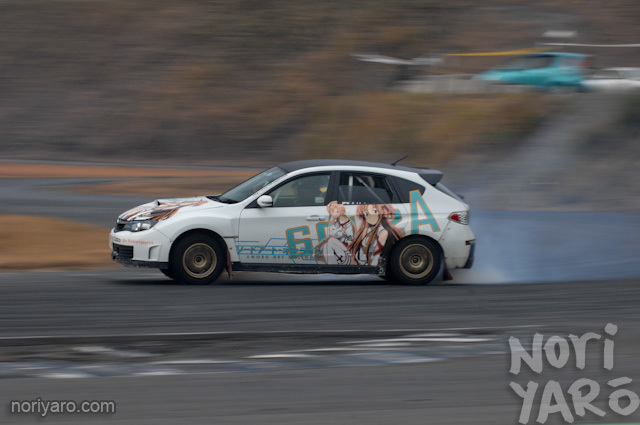 I LOVE ITASHA, ESPECIALLY SAO’S ASUNA!